Search Colonial Beach Real Estate & Colonial Beach Homes For Sale with Dockside Realty, Colonial Beach VA! Looking For Colonial Beach Homes For Sale? If you’re looking to buy or sell Colonial Beach real estate, Dockside Realty is definitely the place to come! As many people know, Dockside Realty of Lake Anna has been a well know and established local Real Estate Company for 25+ years. Dockside Realty and the Realtors that work for them have long been known for their local expertise and knowledge. With three Lake Anna Locations to serve the entire area, and price points at Lake Anna increasing, it was only time that Dockside looked into expanding their service areas. In 2016, current Owner/Broker of Dockside Realty, Dave Moberly, was approached to entertain the idea of opening a small office in Colonial Beach, VA. With several development projects growing in Colonial Beach, and the local community being of course situated right on the banks of the widest part of the Potomac River, it made sense to start a new adventure in Colonial Beach. Not to mention, once you visit the area, rich with history and having so many different entertaining options, you can’t help but fall in love. The new, Dockside Realty of Colonial Beach, officially opened in January 2016 and has been part of the local community ever since. Each year the office gets more and more involved with the community and its residents. They help to sponsor such events like the Colonial Beach Bike Fest in October, they take part in the annual River Fest each June, as well as many other events, including the Second Friday Art Walks, Hosted by the Colonial Beach Artists Guild (CBAG). Dockside at Colonial Beach has been a part of the Artists Guild for two years now. Each month they host new artists, displaying their personal works for sale in an “Open House” style, on the second Friday of each month, from 6-9pm. Each Art Walk showcases new artists presented in various local stores and shops. This is Free Event is open to the Public. Dockside Realty has become known for their wonderful Food Spreads, catered by local Restaurants and Stores, such as Denson’s Grocery, Tides Inn Market, and most recently Emily Hall, owner of Hall’s Grocery Store right outside of Town. Typically they serve finger foods and snacks, for the public to enjoy as they walk around admiring the artists’ displays. In 2018, Dockside Realty of Colonial Beach took another big step, adding on three more local agents to expand the sales force to 5 full time Realtors. Along with two of the new Realtors came a local builder that has been building homes for many years in the Colonial Beach area. Dockside Realty of Colonial Beach is proud to now be able to fully service the Northern Neck and Colonial Beach areas, along with the surrounding county of King George. Dockside Realty’s goal of being able to offer anyone looking for waterfront homes and communities, in any price range, has officially become reality. 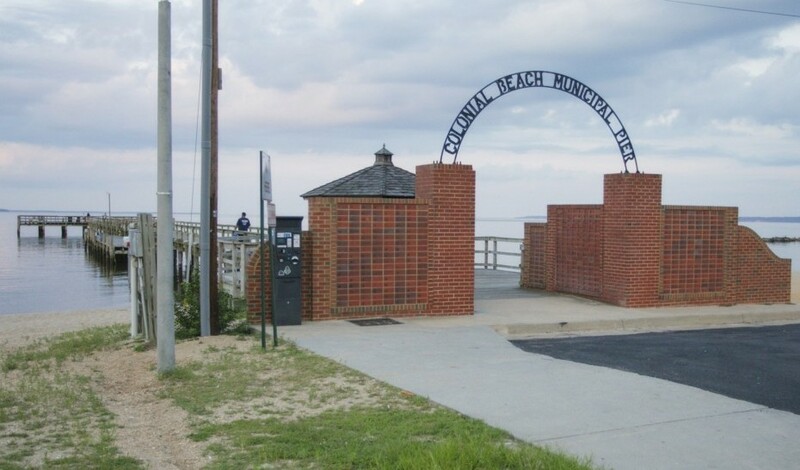 With Colonial Beach’s median price points ranging anywhere from, $110,000 for a cute beach bungalow, to $200,000 for a direct waterfront condo on the Potomac, and on up to $300,000 and higher for direct waterfront homes, Colonial Beach and the Northern Neck truly offer a unique opportunity to become a part of a waterfront community! So, next time you’re out for a drive, stop in and say hi! We promise the views won’t disappoint! 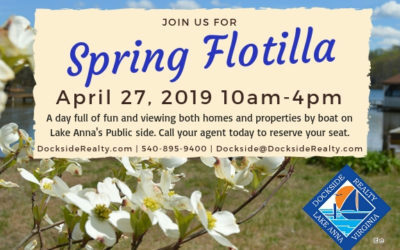 And if you’re looking for something to do on the Second Friday of each month, take a swing into Dockside Realty of Colonial Beach between 6-9pm. If you’re looking to buy or sell Colonial Beach real estate, look no further than Dockside Realty, now with 4 locations to serve you. Proudly Specializing in Waterfront Homes and Communities from The Northern Neck to Northern and Central Virginia!